I tried the opt-in and still freeze during lander missions and then crash to desktop with no error reporting when I hit escape to leave the planet. If I don't hit escape I can twiddle my thumbs for as long as I want (longest I waited was 30 seconds before hitting escape to trigger the crash). I am stuck on a planet where it happens a lot, 82 G. Eridani II. I've tried max video settings (2560x1440 my native res, 2x AA, shadows, etc. on good) and then cranked them all the way down (1920x1080, no AA, No shadows, no v-sync). It doesn't matter on 82 G. Eridani II, crashes within 30 seconds every time. Very repeatable on that world. Full runlog.txt below. I can't find the SwapChainPresentFailDump.xml file. It isn't in the folder specified. UI is scaled by 133.3% and may not look sharp. Error: Planet has too many props, or props have too high collision triangle density. Prop collision will be discarded. I've done the opt in. I seem to be OK on the majority of planets. I seem to be only getting the freeze on planets with a lot of terrain, animals, or mineral spawns. From best I can tell, it happens to me on planets with a lot going on. If the animals are few I can make it thru, but when it looks like a zoo, I freeze, even with the opt in. We've identified this as a GPU overheating issue. For now (until we find some better solution) either adjust your GPU to have the fans be more aggressive at cooling it down or decrease the shadow and/or graphics setting. Is there an opt in code? I loaded Asus GPU Tweak II to check out what is going on with my video card when the game is playing. I fired it up and went down to 82. G. Eridani II. GPU temps started to rise but it wasn't spiking by any stretch. It went from went up 50 degrees at desktop idle to ~63 degrees (which is not super hot). Fan speed went from 50% at idle to ~71% so stuff is happening but the game still froze after 10-15 seconds after landing on the planet. The problem may be with the games interaction with the graphics card but my card wasn't super stressed when it froze. I love the few hours I've put into the game since I bought it so I am reluctant to say that I have to shelve it until there is a fix for this problem. It is my understanding that the NVidia driver issue is still a leading candidate for the SwapChain error with their products. We are still working with them on a resolution. True, I am trying to run this game on an easy bake oven. And I realize it maybe way too early for you to comment. However, I do play this with an x-box controller. Does Stardock have any console plans? My x-box one could run this way better than my aging light bright cpu. We've identified this as a GPU overheating issue. I REALLY hope that this is a joke and you are already about to fix that problem. I just ran "open hardware monitor" and i freeze with around 70-75 fps 81°C (177,8°F) and GPU Fan usage at 61%. These values are far from "overheating gpu"
Got a mail of you, both the last update you released just minutes ago and the sample version isnt working on "Slatha"
We are not talking about framedrops which would be okay! Maybe we should collect all data we can get! The first planet ive encountered was Slatha, on it is a NPC i can talk to (when i get there before the freeze, also freezes during the conversation), there are also 3 animals, one of them is a spider i can always hear when freezing, also its a lush green planet with trees and hurricanes. Ill check on my Win10 updates right now but try again playing tomorrow. I also have the GTX680, and I downloaded GPU-Z 2.11.0 to check my GPU Temps. Seems unrelated in my scenario as I can freeze out at any temp range it seems. I have the freeze occurring anywhere from 50-75 degrees.. then sometimes I'm pushed into the low 80s and all is good until so I'm also doubting the finding of overheating GPU. 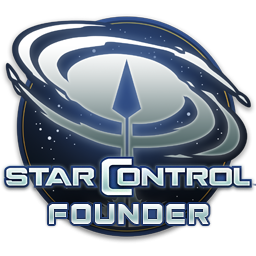 The good news is I was contacted by Stardock support today about testing out a beta build that they hope could help with the issue. The bad news is instructions were for Steam purchases whereas I purchased from GOG, so fingers crossed I can still help to test through my GOG purchase. At least for me the game runs on my work laptop with no issues (with its crappy built in GPU) so it hasnt been a blocker for me in terms of actually playing and I didnt refund via GOG but its super weird to have my gaming rig not be able to handle a game and my "spreadsheets and emails only" laptop being able to run it better. But hopefully we're in the final stretch as it seems Stardock is indeed looking into it. As I mentioned above I've tested the beta build after testing the new patch. Both versions doesn't work. The gtx680 is old and slow but not bad. I got the game after finishing shadow of the tomb raider and I've hadn't any framedrops in this game. It's all about optimisation. Maybe they will find a way to stop freezing the game. As I said framedrops aren't that bad as freeze/crash to desktop. do you also have a nvidia gpu? I'm at my wits end on this one. Issue: constant random crashing. Sometimes I will crash in solar system map, sometimes in lander mode, sometimes in battle mode. Once in a blue moon I can play for 20-30 mins between crashes, usually the game crashes within 90 seconds of launch. Changing my swap file from system managed to an obscenely huge amount as recommended. Confirming BIOS is running the latest revision. Replacing my settings.ini file with both versions support has linked in the FAQ. This is pretty frustrating, Stardock. Are you any closer to finding a solution to this issue, as it seems to be happening to others since launch (and 2 patches ago)? Been looking forward to this game for a long time, and feeling pretty burned and that I may have just wasted my money on a product that does not seem ready for 'prime time'. Thanks in advance for helping me enjoy this game. It looks great, the story is tons of fun so far - but in the current state of things it might as well be labeled 'totally unplayable'. They told us its an overheating problem and we have to go for the lowest graphics settings, what a great fix. I can play the most other games aswell and thats what i am doing, no need to get another stardock game again. Thanks stardock this game was promising but you missed the nvidia compability. Turns out the problem was actually my hardware, Bonkal! Check my edit to the post above and give it a go. tl;dr underclock your GPU memory by a bit (my base memory clock is around 2500mhz, underclocked it by around 150mhz and boom - 100% stable game) - I guess the GPU's on my rig are starting to reach end of life and are just not able to perform at full throttle. The underclock did not effect my framerate in any way, verified that too. Give it a shot, maybe it'll work for you? FYI: I had around 6-8 month old drivers for my GTX and didn't have issues with crashes or framerate. After I updated to the latest one, this problem appeared. I just feel bad I ranted and blamed you devs for the issues I was having versus taking the time to stress test and realize I had a local hardware issue. Now that I can play stable - you all really made something magical here. Having a blast, and thank you for all the hard work! It's all of your feedback that we appreciate - from it, we make better games. Enjoy the game and thank you much for your support and patronage - can't tell you how much each mean to us. Are you on the opt-in build?